Eco-Babyz: Walkabye $200 Gift Certificate Giveaway and Discount Code! Walkabye $200 Gift Certificate Giveaway and Discount Code! If you haven't already, check out my review of the Walkabye Terrani. This amazing stroller is everything you've been dreaming of! It handles beautifully, has a ton of flair and style, and is comfy for the baby. 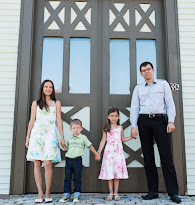 Walkabye is generously giving away a $200 Gift Certificate to one lucky Eco-Babyz reader! If you don't win, you can always use the Eco-Babyz exclusive discount for $40 off your stroller purchase, use code BABYZ40 at checkout. 1. Go to the Walkabye website and tell us in a comment which color/pattern you would buy if you win. 6. Visit the Walkabye website and tell us something you learned about their strollers. You can also become a fan of Eco-Babyz on Facebook or a fan of Walkabye just for fun. That will give you zero entries though because Facebook has new rules for promotions and giveaways. Contest ends at 11:59 p.m. EST on Friday Dec. 25. The winner will be selected using Random.org on Saturday, Dec. 26, and notified by email (so please be sure I have a way to get in touch with you). Open to US residents only. Thank you! I like olive green with orange! i would choose the pink princess! I would buy the pistachio pattern.. I really like how the stroller is made for both urban and outdoor areas. I am following via FB!! I really like the pistachio! Following thru Google Friends Connect. 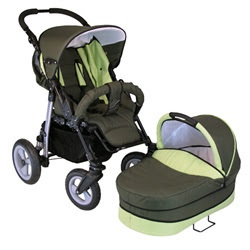 I learned that the strollers have all terrain tires and a full suspension! I would chose the loght coral with the floral pattern. It's so cute! I would choose the black and white circles pattern. I follow Walkabye on twitter (jenniferladd). i learned thy have a 12 month warrenty, thats great! I would go with the Black & White Circle Pattern. I like the blue with flowers. I like the deep plum with cream. I would choose the black pattern if I won! I like the red with flower pattern! But it would depend on what baby I'm having! I like the Red flower design. I learned this comes with a matching diaper bag! I really like the Blue Rain. 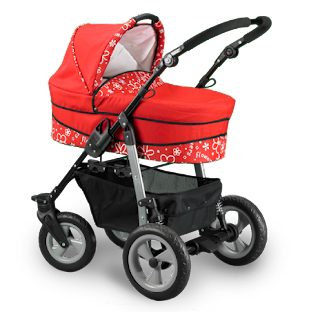 The Walkabye Terrani comes with a 1 year Limited Warranty, covering your stroller against defects. I'd get the red with flower pattern! I like the dark plum. I learned that they "make adapters for the Walkabye Terrani that allows you to attach certain car seats to the stroller frame." I learned that the Walkabye comes with a 12 month limited warranty.